1. It is complete human-made wig. 4. This hair can be curled, straightened. (pls keep temperature under 200 degree) But we don't recommend u to dye/color it. 5. This item might need around 4 business days to prepare before shipment. Pretty wave in the Wig! Left Parting on it, looks more natural! 1. u can wash it with glycerol or olive oil and wig shampoo. it will become smooth and gorgeous. 2. You can use knot sealer to seal your knots on the underside of your wig after every washing. When you wash the hair, Please use neutral shampoo And spring water or distilled water. Attention please: Don't use Tap water, the tap water filled with many chlorine and chemicals!! which can cause tangling!! 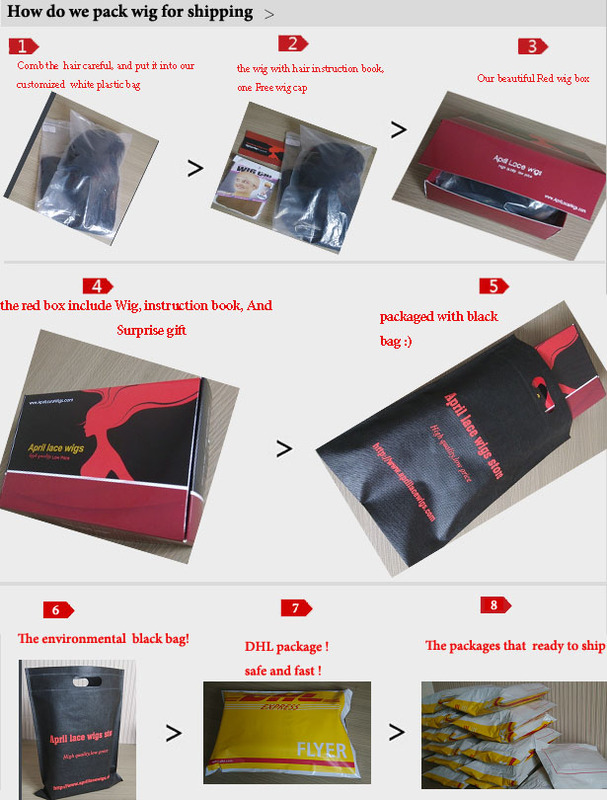 if u want to do a exchange, pls send us extra lace of wig to our email, and tell us the desired item details.